I finally got my hands on the second version GGG from the SRC line. 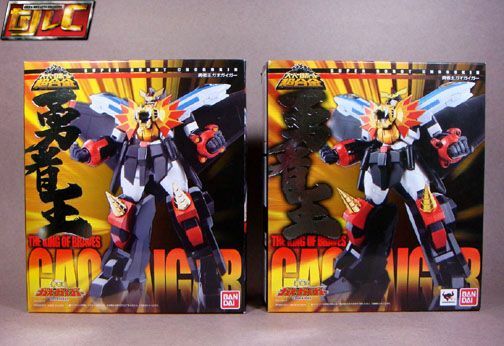 Luckily, Bandai made some changes to the box art so you can somewhat distinguish the first from the second version. First version on the left. The 2.0 box front has GGG looking up and the text “Yuusha-Oh” is now in bolder font. Top view - those distracting lines across GGG’s face have been removed. Figure comparison. – First version on the left. On first glance, the figures look the same. 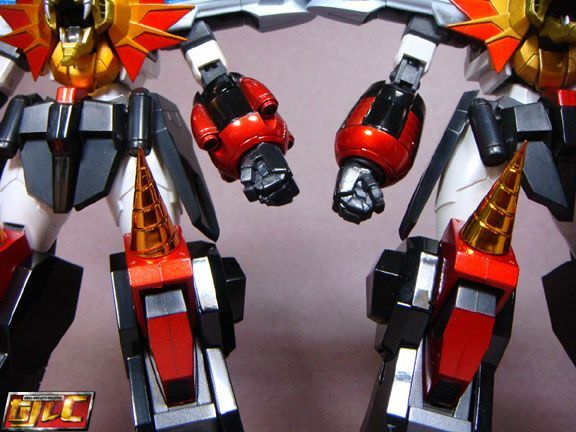 But the 2.0 ‘s Drill knees are now more “golden” as opposed to dark orange of the first version (sorry, the colors don’t show on the pics). Also, the 2.0 GGG’s white parts are more uniformed in white. The original (on the left now in this pic) has some parts that have a slightly yellowish shade of white, particularly in the biceps and the rear sections, when compared to his thighs and back. 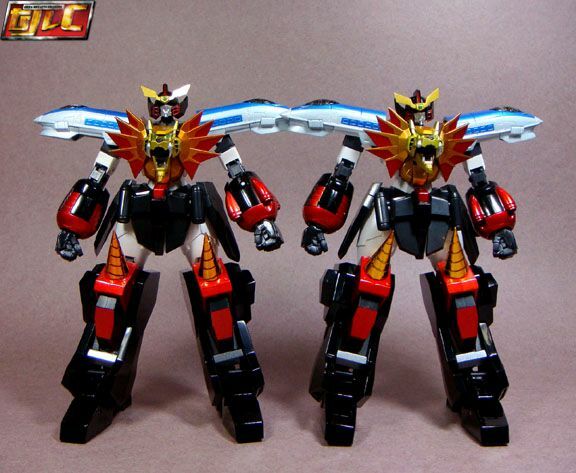 Of course, the most important reason to get the 2.0 is that the 2.0 now has fixed joints, particularly in the shoulders (joint does not pop out so easily now) and the important groin joint. The first version’s groin joints were somewhat floppy, making GGG unable to hold forward kick poses and worse, a bit unstable, especially when you equip the Stealth Gao II / Star GGG parts. These problems are non-existent in the 2.0. The 2.0 can hold the forward kick pose no problem and feels more stable compared to the first version.